The military calls people who suffer from heat illness, “heat casualties.” As a military heat casualty, I know first hand the seriousness heat illness poses to everyone. With summertime just around the corner, it’s vital that you also understand the seriousness of heat illness, along with prevention and treatment measures. 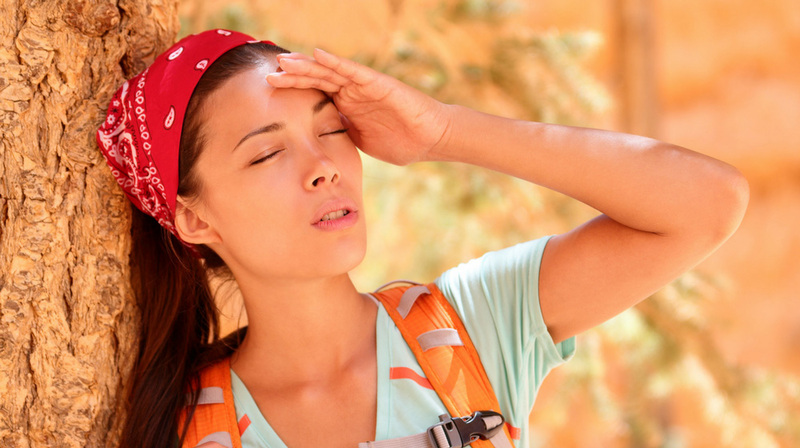 Heat exhaustion is a type of heat illness that is caused by exposure to high temperatures. The likelihood of heat exhaustion increases with the amount of humidity and strenuous activity. Whether you’re working outside, hiking or doing some other activity in the heat, it is essential that you recognize the potential for heat-related problems. Should you suspect that you or another may be suffering from heat exhaustion, you should immediately stop all strenuous activity. Move the person to a cooler spot. Cool the victim off with fanning, pouring water over the casualty, etc. Follow that up with drinking cool water and seeking professional medical attention. Heat stroke is a medical emergency in which a person’s body temperature becomes drastically elevated. If not identified and treated quickly, heat stroke can be fatal. Heat stroke often follows untreated heat exhaustion. As with heat exhaustion, the likelihood of heat stroke increases with ambient air temperature, humidity, and physical exertion. The immediate first aid for a victim of heat stroke is to call 911 immediately. Heat stroke is a severe emergency. Next, cooling the person by stopping strenuous activity, moving to a cooler location, institution cooling measures are most important. When giving water to drink, it is critical to do so slowly while ensuring the person is conscious and able to swallow appropriately. Forcing liquids into a person with an altered mental status can cause severe problems and should be avoided. Staying hydrated is one of the best ways to help avoid becoming a victim of heat-related illness. Does staying hydrated guarantee a person won’t become a heat casualty? No, it doesn’t, but it sure helps. So, if you aren't already a regular water drinker, you should begin working towards becoming one. The average person should drink 6 to 8, 8-ounce glasses of water per day. This amount varies depending on your age, fitness, level of activity, weather, etc. If you are not sure of how much water you or your family should drink daily, please discuss it with your doctor. It’s important to remember when your body tells you that you are thirsty, you are already behind in the water game. So, stay on top of your water intake and ensure you remain hydrated. After all, you and your body depend upon water to survive. If you have any other thoughts or questions about the heat illness, please leave a comment below. Leave an honest rating or review on iTunes. They really help and make a difference.